Mock Up Label The Blank Menu Frame In Bar Restaurant ,Stand For Booklets With White Sheets Paper Acrylic Tent Card On Wooden Table Cafeteria Blurred Background Can Inserting The Text Of The Customer. Banco De Imagens Royalty Free, Ilustrações, Imagens E Banco De Imagens.. Image 80676266. 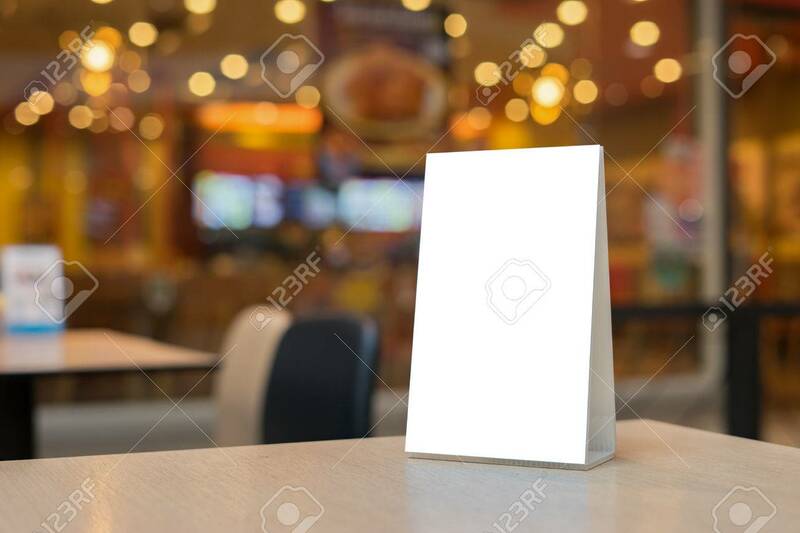 Imagens - Mock up Label the blank menu frame in Bar restaurant ,Stand for booklets with white sheets paper acrylic tent card on wooden table cafeteria blurred background can inserting the text of the customer. Mock up Label the blank menu frame in Bar restaurant ,Stand for booklets with white sheets paper acrylic tent card on wooden table cafeteria blurred background can inserting the text of the customer.